I love the wide variety of fish that’s available here. 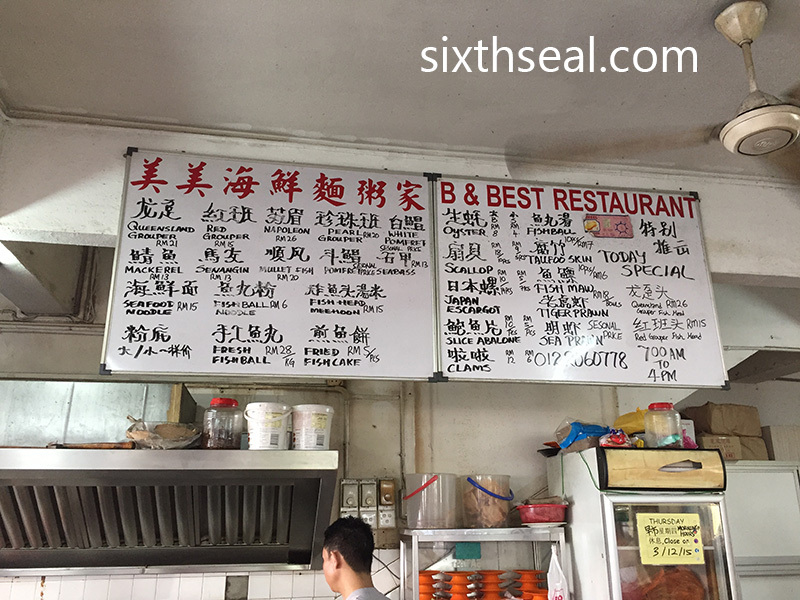 The prices are slightly higher than comparable outlets (at least for Queensland Grouper/Estuary Grouper) but it’s fresh and the portions are generous. They also serve porridge, come to think of it. 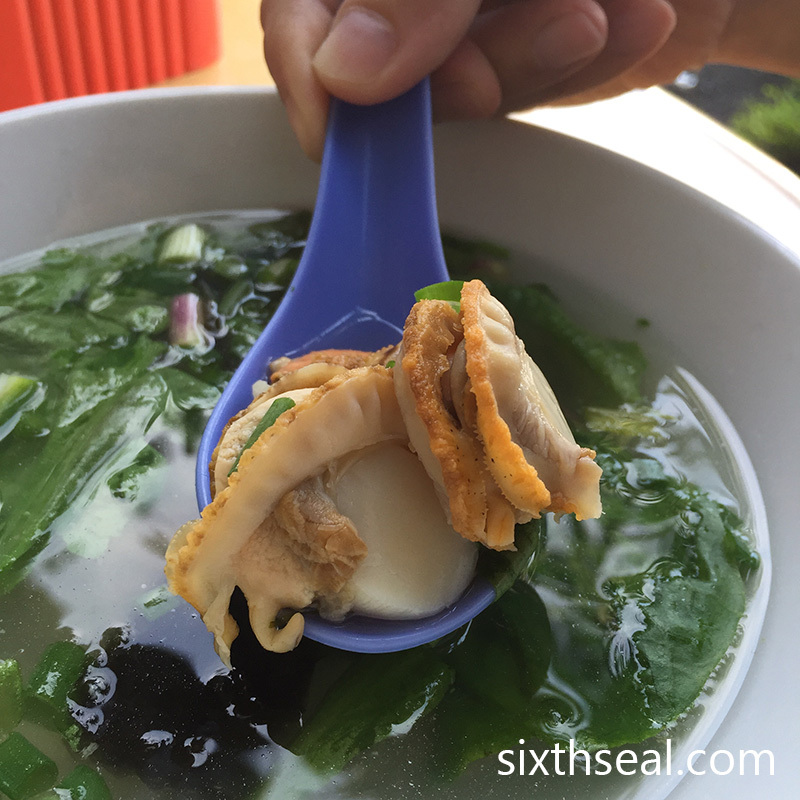 You can have porridge instead of noodles if you prefer, with the same toppings – everything from white pomfret fish to whole scallops. I first found this place in 2008, when I was living around the corner in Kelana Jaya. I must try it soon since the shop’s name is B & Best!! I wanna giggle at you for calling her My Better Half. You’ve never heard of the term “better half” before? It’s very common in English speaking countries. I had to Google what “Yobo” is. Haha! I really am not into K-pop and Korean culture in general, although I’ve been to Korea twice. I would never use the term “Yobo” – not a Korean wannabe, it doesn’t come naturally to me. I was just teasing you bro. No hard feelings yeah. I was just commenting on my personal thoughts about K-pop, I really am not into it since I don’t speak the language and I find the cookie-cutter bands inane so I personally would not use the word “Yobo”. Looks really good. 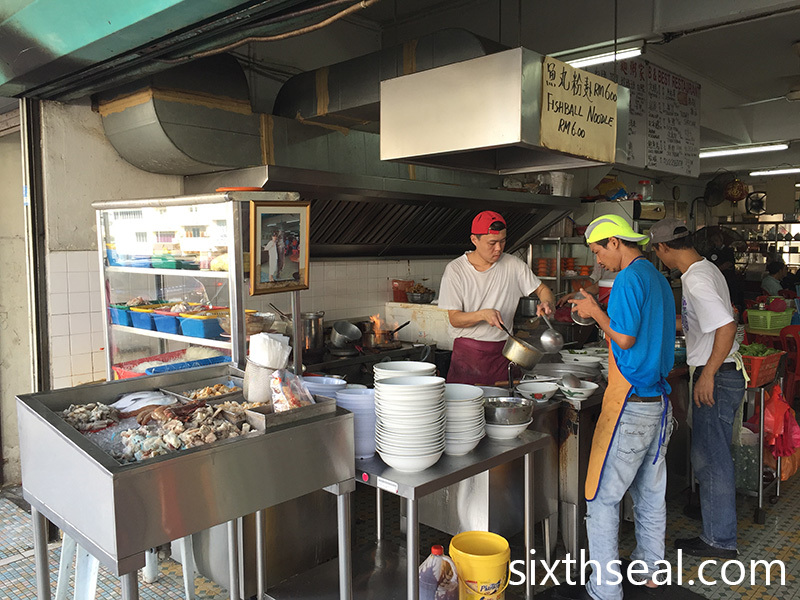 White pomfret and those giant tiger prawns sure do not come cheap! I love stuff in clear soup, sure I would like it here. 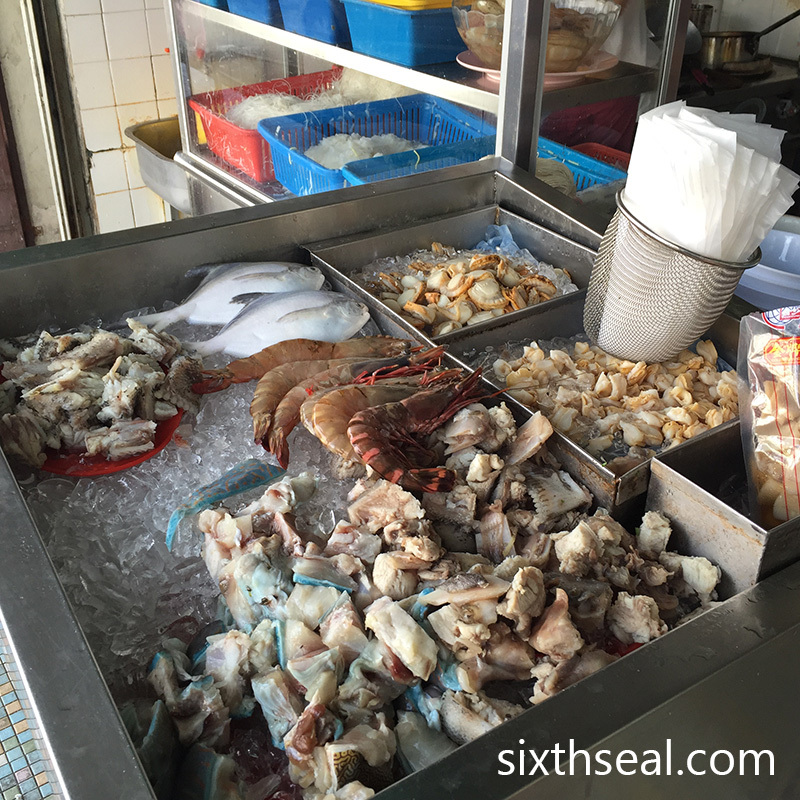 I had that the first time, you can’t choose the type of fish you want, they’ll just grab whatever’s available (usually the lower cost stuff) and a few prawns and cook up a batch. You might get a piece of the better fish too, depending. That’s a good option for people who want’s a cross-section of their fish. White pomfret was RM 22 that day, it can be anything from RM 18 upwards for the whole fish, depending on season. Thanks for sharing this. 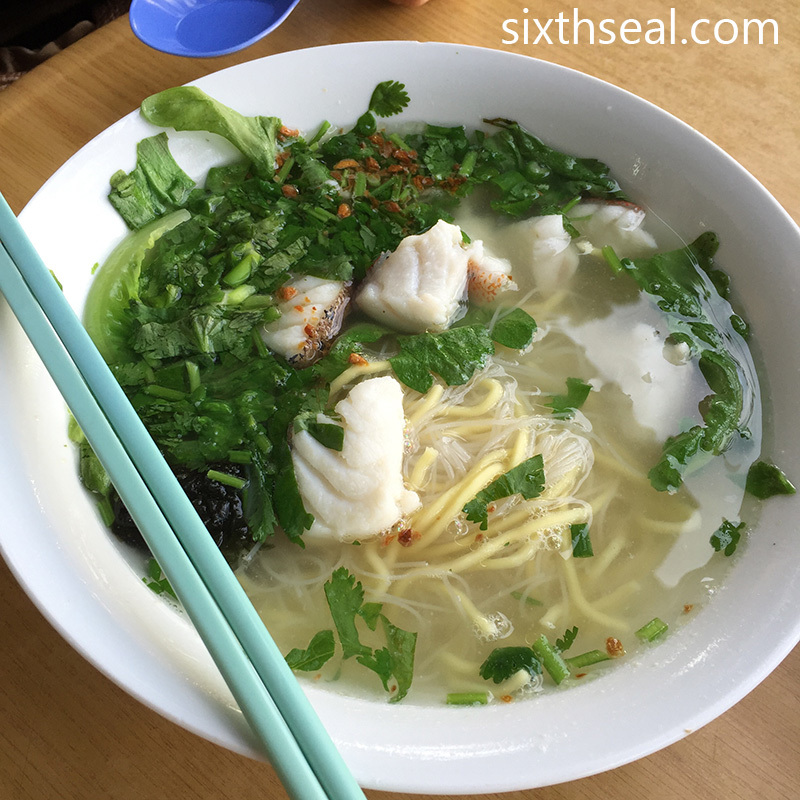 I love to eat fresh fish noodle. WIll definitely drop by if I am in the area. Don’t think I am familiar with PJ SS4 area. I usually hang around SS2. I just love fish noodles. I only like this kind though, I can’t get behind the ones with milk inside (Cheras style). I prefer the fresh ones with clear stock. SS 4 is really close to SS 2 though, I used to live around SS 6 (Dataran Prima) and I’ll still drive down to SS 2. Fish haven for me as I love fresh fishes. 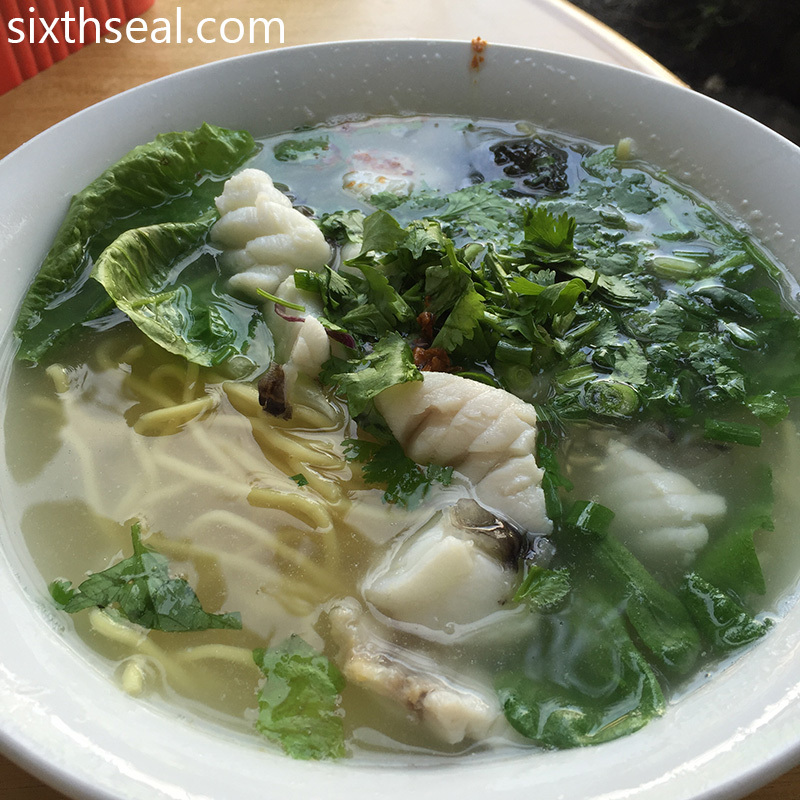 I love fresh fish noodles, it’s one of my indulgences (the other one is sashimi rice). Wah, alot of veges I see, I love noodles soup like this! There’s a lot of vegetables here, which covers up the fish a bit, but the portions of fish is quite generous here. Seeing the pixs here is making me hungry already. 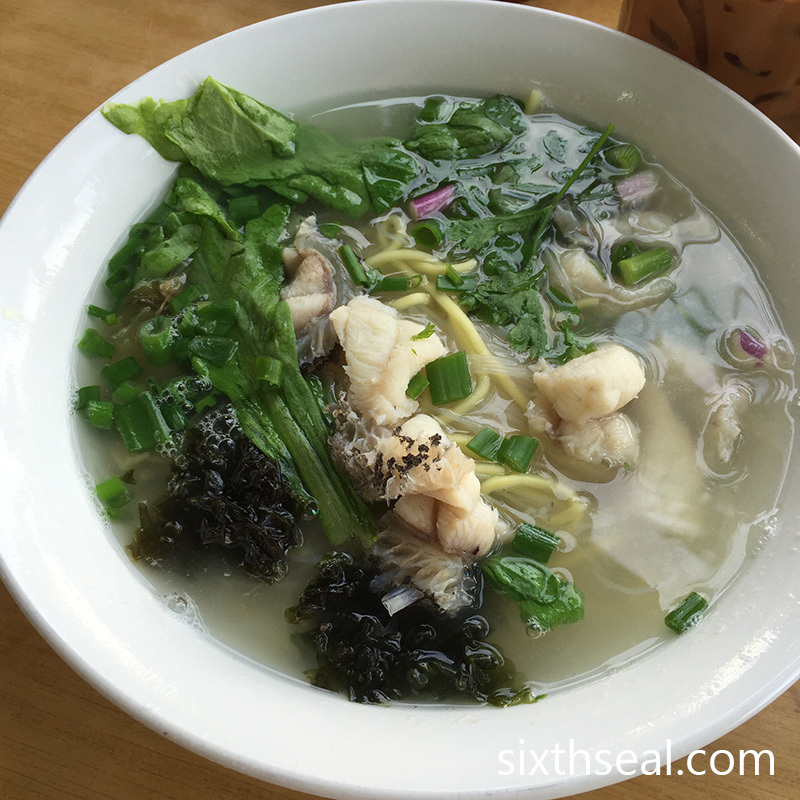 It seems so nice to have a bowl of noodles with fresh seafood in it. I’ve had it for lunch too, not as good. Something about the cooler morning weather makes this better in the mornings. We’ve been trying to go early to some places too but couldn’t make it. This time we went early coz we went out at 7:30 am.